The Sub-Saharan Africa (SSA) is far lag behind the sustainable targets that set out in the United Nation’s Sustainable Development Goals (SDGs), which is highly needed to embark the priorities by their member countries to devise sustainable policies for accessing clean technologies, energy demand, finance, and food production to mitigate high-mass carbon emissions and conserve environmental agenda in the national policy agenda. The study evaluated United Nation’s SDGs for environmental conservation and emission reduction in the panel of 35 selected SSA countries, during a period of 1995–2016. The study further analyzed the variable’s relationship in inter-temporal forecasting framework for the next 10 years’ time period, i.e., 2017–2026. The parameter estimates for the two models, i.e., CO2 model and PM2.5 models are analyzed by Generalized Method of Moment (GMM) estimator that handle possible endogeneity issue from the given models. The results rejected the inverted U-shaped Environmental Kuznets Curve (EKC) for CO2 emissions, while it supported for PM2.5 emissions with a turning point of US$5540 GDP per capita in constant 2010 US$. 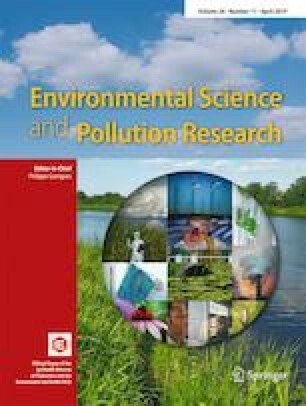 The results supported the “pollution haven hypothesis” for CO2 emissions, while this hypothesis is not verified for PM2.5 emissions. The major detrimental factors are technologies, FDI inflows, and food deficit that largely increase carbon emissions in a panel of SSA countries. The IPAT hypothesis is not verified in both the emissions; however, population density will largely influenced CO2 emissions in the next 10 years’ time period. The PM2.5 emissions will largely be influenced by high per capita income, followed by trade openness, and technologies, over a time horizon. Thus, the United Nation’s sustainable development agenda is highly influenced by socio-economic and environmental factors that need sound action plans by their member countries to coordinate and collaborate with each other and work for Africa’s green growth agenda.